One More Thing…. 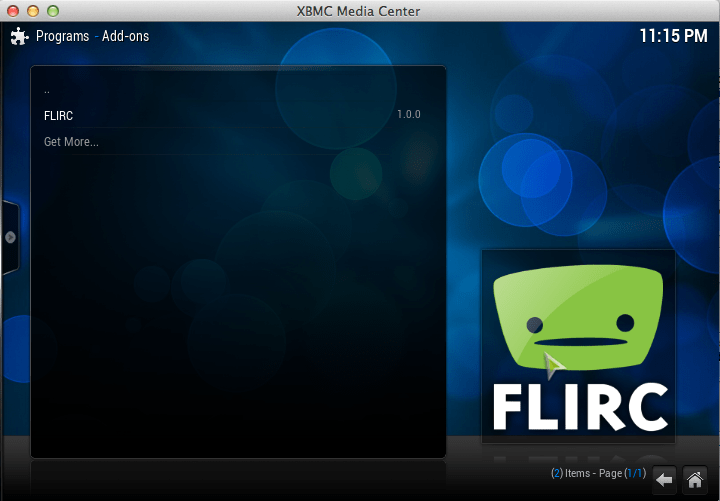 We’ve got an XBMC Plugin! This was the next step into the evolution of flirc and what I had envisioned on day one. 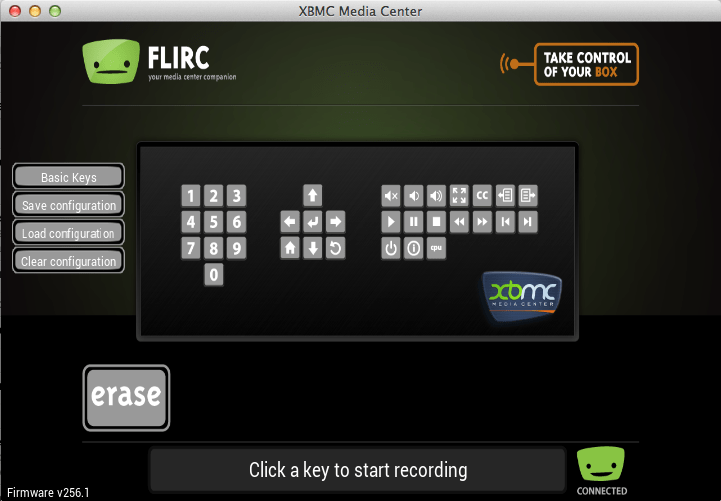 Programming flirc just got easier because the same intuitive interface is now done in a beautiful xbmc addon. The shortcuts are right there for you to pair against and customize with your remote, and you don’t need a second machine if your running openelec (example). This is a beta release and supports all versions of firmware, please leave your feedback here. Thank you so much Sean Poyser for writing this. He did an amazing job. I keep saying updates soon, updates soon, and it’s become a broken record. But I have been working extremely hard every day, even though it was not publicly visible. I have stable releases of the latest firmware, gui, and commandline. The remaining issues will be quickly addressed, and as soon as I have enough feedback, I will release this to the public. It’s nearly ready. I’m ecstatic to announce a new distributor to help handle online Canadian sales. Shipping to Canada can often take a long time and flirc will sit at the customs office longer than the time the product is in transit. So we have the perfect partner, a distributor of raspberry pi and raspberry pi accessories located in Canada. This was a no-brainer and we look forward to working with the Pi Supply and having them carry our upcoming products. Flirc has has a new member of the team. A little member, but promising in what’s an amazing ability to make her Dad work non-stop. Audrey was born on March 4th and was so eager to start working, her delivery was only 45 minutes. Audrey is 3 months old, and her duties will be…well, just duty for now.